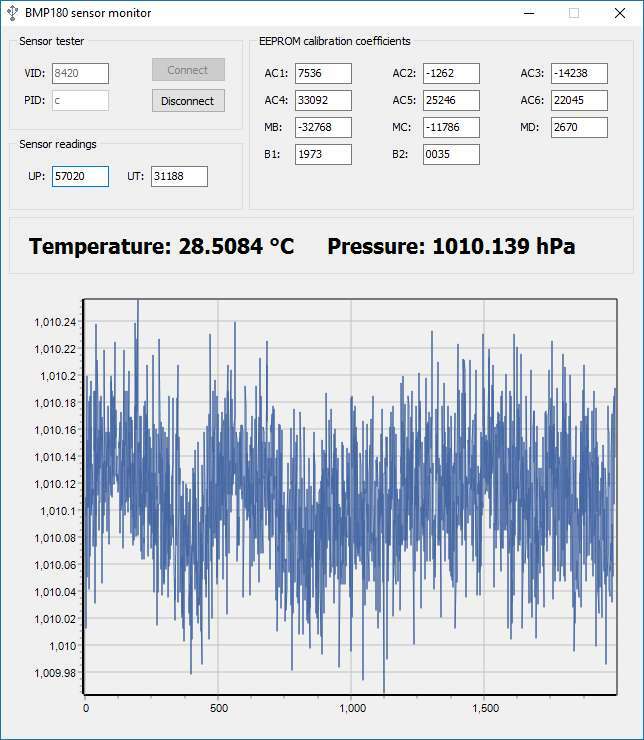 We initially developed this USB atmospheric pressure monitor to study some operating characteristics of Bosch BMP180 sensor. BMP180 is low cost sensor to measuring barometric pressure and temperature. According to the data sheet this sensor can use to measure pressure ranging between 300hPa to 1100hPa. This sensor is introduced couple of years back but still it is popular due to lower cost and simplicity. We did this unit to test BMP180 sensor more accurately and to study it’s behaviors. This unit is based on PIC18F2550 microcontroller and the main reason to select this MCU is because of it’s built-in USB 2.0 interface. 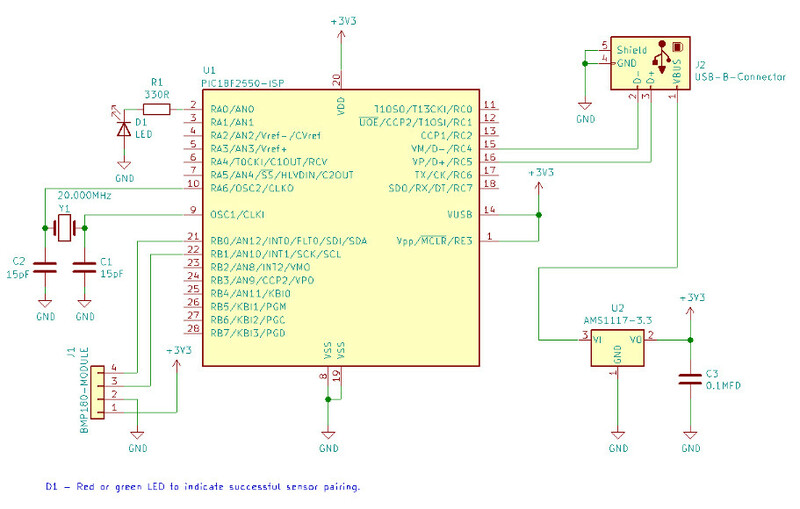 This unit is programmed to work as a USB HID device and no any special device driver is required to use this device. We test this unit in Windows 10 environment.